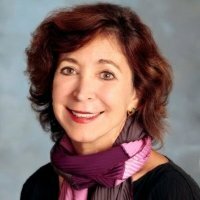 Lisa Petrides is the founder and CEO of the Institute for the Study of Knowledge Management in Education. HALF MOON BAY – It seems an unlikely battlefront for a revolution – this two-story wooden house off a quiet side street in a small coastal town bordering Silicon Valley. Yet this is the headquarters of the Institute for the Study of Knowledge Management in Education, or ISKME, whose wonkish name belies its upstart challenge to the multibillion-dollar textbook industry. The 12-year-old nonprofit is a leading champion of the “Open Educational Resources” movement – a growing campaign, strongly rooted in California, to make educational materials available online and free of cost. The movement has gained increasing clout in U.S. classrooms as teachers and school districts seek up-to-date materials to meet new demands stemming from the Common Core State Standards. In one sign of its growing importance, the U.S. Department of Education last month hired its first in-house adviser to help school districts use such resources more effectively. “We strongly believe that education should be a free and accessible human right,” says ISKME’s founder, Lisa Petrides. That goal encompasses her vision that school districts should no longer regularly have to commit major resources to buying costly and quickly outdated textbooks, which can cost $100 apiece or more. She further believes there has been newly swift progress toward that end – despite continuing technical constraints, questions about quality and some resistance from teachers, parents, school district officials and, naturally, textbook publishers. Among other projects, ISKME, which was founded with support from the William and Flora Hewlett Foundation, runs the OER Commons, a digital archive that offers teachers and students more than 100,000 free educational resources. Its widely varied, 350 content providers range from the Teaching Channel, NASA and UC Berkeley to the al-hakawati Arab Cultural Trust and the Gay, Lesbian, and Straight Education Network. The organization has lots of company in its egalitarian mission. In Palo Alto, the CK-12 Foundation, founded in 2007, offers a similar huge trove of free online content, including digital textbooks, videos and interactive simulations, now used by more than 38,000 U.S. schools. Co-founded by Neeru Khosla, and largely sponsored by her husband, the high-tech billionaire Vinod Khosla, CK-12 just last summer formed a new partnership involving Google Classroom – an app that helps teachers create, organize and share assignments – to expand its reach and accessibility even further. Khosla said that when she first started out, some school officials worried that if they did not buy textbooks, funds traditionally set aside for them would disappear from their budgets. Some also feared that they couldn’t count on the free materials being reliably available or of high quality. Yet Khosla thinks all of these concerns have ebbed over the past eight years. As open-education ventures have proliferated, the best-known continues to be the Khan Academy, founded in Mountain View, California, in 2008 by former hedge fund analyst Salman Khan. Unlike the OER Commons and the CK-12 Foundation, the Khan Academy creates content rather than collecting it, assembling 6,000 free videotaped micro-lectures on such a diverse range of topics that its motto is “You Can Learn Anything.” At last count, the academy claimed 10 million monthly global users. The popularity of free online materials has expanded dramatically since 2010, with the adoption of the Common Core State Standards by 43 states. “There has been more adoption of free, online resources by schools in the last year than in the entire last decade,” Petrides contends. At the same time, total sales of K-12 instructional materials fell by more than 11 percent from 2013 to 2014, according to an industry survey by the Association of American Publishers. The shift to the Common Core, which consists of new academic standards in mathematics and English language arts, has fueled demand for online resources by making many existing textbooks seem outdated. By many accounts, including reviews this year by EdReports, an independent nonprofit that reviews K-12 textbooks, mainstream publishers have not provided new classroom materials adequately aligned to the new standards. Santa Ana ended up supplementing its existing textbooks with three new, free and online resources, which offer a range of support including downloadable K-12 lesson plans in mathematics and English language arts: EngageNY, developed by New York’s Department of Education, with federal support; GeorgiaStandards.org, from the Georgia Department of Education; and the Irvine Math Project, housed at UC Irvine. 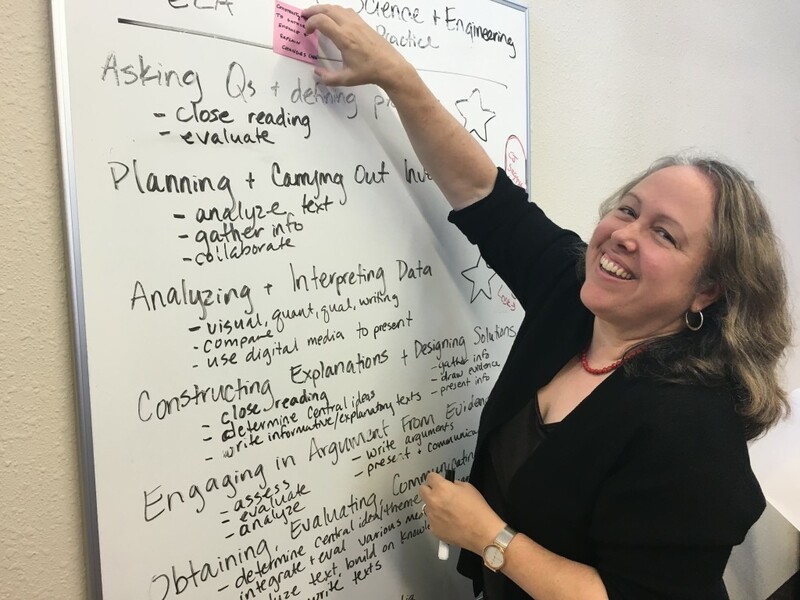 EngageNY, funded with $28 million from a federal Race to the Top grant, has become a particularly popular option for school districts hungry for guidance on planning classroom lessons and finding materials aligned with the new Common Core standards. Free material from its site, including complete Common Core-aligned lesson plans, has been downloaded 29 million times this year alone, with nearly half of those downloads coming from outside New York State, and 2.5 million from California. Other California educational organizations relying on EngageNY include the Berkeley Unified School District and Aspire Public Schools, California’s largest charter school system with 35 schools throughout the state. Many teachers have welcomed support from their district officials in sorting through the plethora of new online material. But in many cases they have had to do so on their own, often resorting to popular online sites like Pinterest, where people post eclectic texts and images, to get recommendations from other teachers, according to Eric Hirsch, executive director of EdReports. Hirsch said teachers need a lot more help than they’ve been getting, given that the flood of free online material varies greatly in quality and ease of use. “Have teachers been overwhelmed by all these choices? Yes, you could certainly say that,” said Tim Smith, a math teacher at Florin High School in the Elk Grove Unified School District, and a 2014 California Teacher of the Year. ISKME’s Petrides, a former professor at Teachers College at Columbia University, shares the enthusiasm. “Textbooks are going the way of the Dodo bird,” she predicted. If that’s true, however, it’s still a slow process. A 2013 report on adoption of free online materials found that 40 percent of educators were using them as supplementary materials, while only 10 percent were using them as primary sources. Back in 2009, California’s Gov. Arnold Schwarzenegger predicted the textbook’s demise, as he tried to replace the heavy tomes with e-readers, which he thought would be gentler both on students’ backs and the state budget. For several reasons, the plan faltered. Not enough good digital material was available; the e-books had too many technical problems, and they ultimately didn’t save the amount of money Schwarzenegger envisioned. A lot has changed over the past six years, however. The cost of textbooks has continued to rise, while philanthropic foundations and the federal and state governments have poured millions of dollars into the Open Educational Resources movement. Much of that money has paid to make high-quality materials available and downloadable without teachers or districts having to pay licensing fees. As software has rapidly evolved, meanwhile, it has included new features that can help individualize learning, in some cases adjusting the difficulty of lessons for students. The lack of adequate e-infrastructure is a continuing challenge. Although many more schools now have access to computers, including laptops and iPads, and more and faster wireless networks, most schools still lack adequate access to the Internet, according to a report by Education SuperHighway, which warned that 99 percent of schools won’t have adequate networks for the demands of 2020. California schools are ahead of the pack, but according to one recent report, 27 percent of them still lack adequate connections. Finally, traditional textbook publishers aren’t giving up without a fight. They took heavy fire this year in widely reported charges from school district officials and curriculum experts such as William Schmidt, who runs Michigan State University’s Center for the Study of Curriculum, and Morgan Polikoff of the University of Southern California Rossier School of Education, who’ve said many publishers have lagged in aligning their books to the Common Core curriculum. But nearly all of the giant publishers, including Pearson, Houghton-Mifflin and Harcourt Brace, have since been coming out with new K-12 math and English books they say are much improved. Many, if not most, also include some supplementary online component, although unlike the Open Educational Resources movement offerings, they come at a cost. In Santa Ana, curriculum expert Edward Winchester said he was eager to see how the battle plays out. Correction: An earlier version of this story incorrectly stated which district Florin High School is in. And nowhere in the entire discussion is the word library mentioned. For ELA, I haven’t actually been very impressed with the free materials from EngageNY. I will check out ISKME, though.